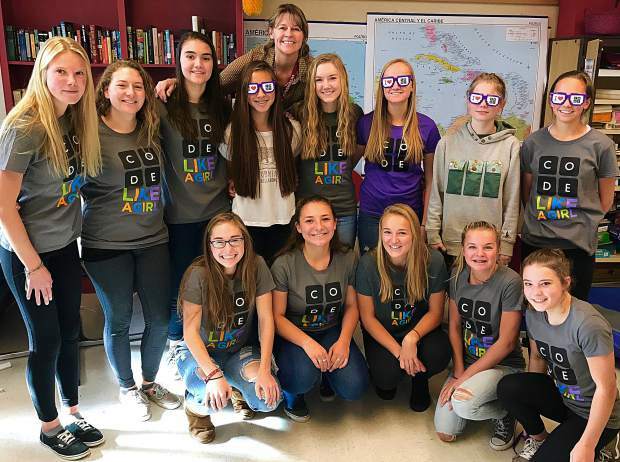 This group of female students at Truckee High School recently participated in the Hour of Code program. TRUCKEE, Calif. — The subtle clicking of keyboards settles all around us. We’re focused, impassioned, driven. Victorious shouts punctuate the air when one of us codes something correctly, figures out the puzzle, or thinks outside of the box to find a solution. Tamara Chisholm, fondly referred to as Señora C, Truckee High’s beloved Spanish teacher and tech lover, watches over us with an omniscient eye. On a recent Monday, a group of girls and I wrote computer code for an hour. We participated in an innovative global movement called Hour of Code. 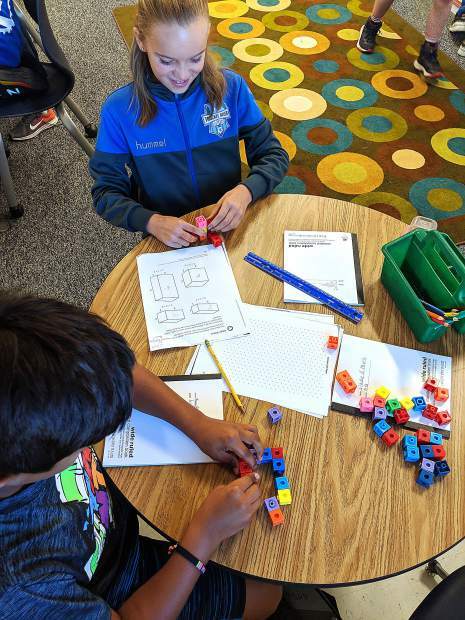 Coding is growing, with ever-increasing implications in the workforce and in daily life, and teaching students to code is helping to shape the world of the future. The most crucial part of our Hour of Code event on that Monday, though, is that it was all-female. We participated through Truckee High’s branch of the national club organization Girls Who Code, aimed at closing the gender gap in technology. As it stands, the gender gap is both staggering and disheartening: only 4% of female college freshman are pursuing a career or major in computer science. But Girls Who Code is taking a stand. Each line of code we write represents a broad, worldwide movement; a distinct shift in society’s attitude towards women in computer science. We face this challenge with bravery, writing line after line to diversify the workforce, create incredible innovations, and make the world a better place. Claire Lang-Ree is a Truckee High School Senior Girl Who Codes.